Do you want to pop up your Business with Viral Video Advertising Trends? Are you still bugging to gather the tremendous strategies that help in building the better business branding through Video Advertising? 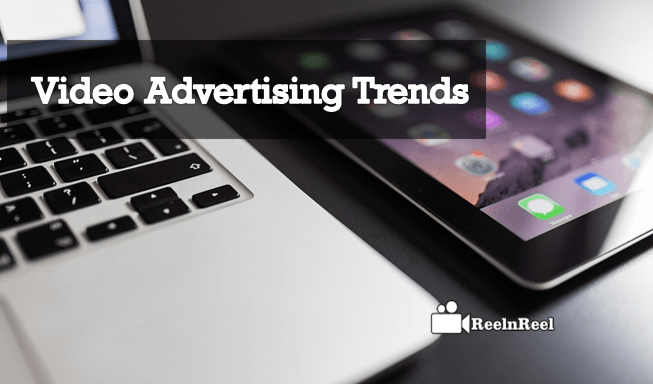 Why don’t you go ahead to look at the simple and seeking Trends in Video Advertising? Here is the Complete Guide to finding the best solution that every publisher, marketer or Brand needs. The publishers have held the auctions that let advertisers gain the more impressions than regular with supreme significance and these outside of the advertiser which termed as header bidding. The increment of ad revenue obtained through the involvement of header bidding. Highly demand partners will cope-up with header bidding. As the mobile is the most demandable device in the present and coming era and it has become the bulls-eye for the marketers and advertisers to launch the viewers preferred content. The video ads should be short and sweet which can be the snack-able content while watching. It can quickly catch the attention of the Gen Y audiences while playing. There is an advantage of hosting the long form of video ads. These ads will explore the brand name that sculptures the long lasting business branding titles as they cherry-picked with quality. Mid-roll ads will have more engagement than other video ads as played in the middle of the actual video content which is being watched by the audiences. This type of video ads will not irritate the visitors while they are viewing their intended video content. Pre-roll video ads played before the actual video plays. In practical when the audiences don’t watch original video content then they will not let to move forward by losing some data. The solid ad revenue obtained through these types of video ads. Live is the buzzing word, especially on the popular Social Media Platforms. It is the excellent opportunity to merge the video ads while broadcasting the live video. The video ad campaigns can be developed and tested by using AI and Machine learning. These are the essential tools to detect the fraud activities while launching the video ads. ROI is majorly considerable in AI to generate the video advertising efficiently. The data collection that helps in creating the datasets of machine learning is used to detect frauds. The analytics of the big data sets provided by using the various technologies and techniques. The excellent quality information of video ads generated with the collection of extensive data. Harness the power of personalized video advertising that helps in framing the great branding. Through this, the advertisers or marketers can establish the long-lasting relationship with the customers by sending personal thanking messages. It has been introduced by the Google that will bring the brands near the consumers with four usual and trending concepts like “I want to – know moments, Go moments, Do moments and buy moments. These will help in finding the complete information about the products or services that simulating the customers go ahead to buy. Chatbots are most trending customer service providers that deduce the burden of the business brands buys providing the ultimate customer services. Hence, the combination of video ads and chatbots will drain the vast engagement. Most of the brands will prefer to involve the influencer marketing to launch the unbeatable video ad campaign as the influencers will have full command over the interests of the audiences. This concept is the most trending in the present era. The content of the video and messages are visible for a particular period which can be displayed in temporary and disappears after some time. It can be observed naturally on Snapchat. The launch of Ephemeral video ads will be the best way to touch the audience effectively. The video contents which generated the concepts of Augmented Reality & Virtual Reality will buzz in the video platforms as the viral content as they give the immersive experience in real-time. The CPM increased with the addition of more shares, views, and subscriptions. This type of video content will capture the all moments by holding all directions to display at the audience. Depending on the location of city, zip code, IP address, state and country the content is delivered to the visitors of the website. It will generate the more traffic as the audience usually prefer the intended content. Therefore, the Geotargetting/Geofencing video ads will rapidly brand the business branding. The unique video content always brings the massive traffic with continuous engagement that holds potential customers. It can quickly build the brand as the video content publisher that itself doesn’t know about it. These video ads will disclose the real-time experience of your products or services when the customers are using them. It can reveal the dedication of building brands towards the customers in delivering your best to the clients. As the programmatic video ads are the most seeking one to explore the business at the tip of the targeted audiences with boundless amendments. This programmatic video ad spending will be increased to organize the extraordinary campaigns. There are many challenges that the advertisers and publishers have to overcome in the coming year related to video advertising. The video is important in digital marketing because of the size of the audience for digital video. It estimated that a large number of people would watch videos on digital platforms by 2017. Here are the few video advertising challenges that brands have to face in the coming year. 1. One of the challenges for publishers is to choose platforms from the many choices and understand how they will perform. 2. They should be selective about the partners and the objectives. 3. Though there are metrics available, there is no standard to measure the success of digital video campaign. 4. The key performance indicators need to be determined based on the platform the ad is going to run and the type and targeted audiences. 5. Marketers need to understand the relevancy of all screens from desktops to mobiles. More video is watched on mobile phones. 6. Video advertisers should never decide that millennials are the only target audience for their video. There are others in the group of 35 – 54 years that also watch the digital video. 7. They should keep in mind that buying ad space is not the same for television and digital video content. 8. Brands must realize that the digital content is not made years in advance. 9. The viewers of digital video advertising have no schedule. 10. Brands must also understand that the media plans for digital video advertising are made months ahead, and they should be created based on the latest trends. Most of the brands are shifting their budget from television to digital video advertising. They have to make decisions about the platforms that work best for their content, choosing the publishing partners and how to measure the success of the video content. There are sure that some ways will evolve to overcome these challenges in 2017. If you wish to have the enormous traffic with the uncountable audiences, then it’s the time to stretch your business boundaries by showing little bit focus on the above-mentioned trends especially while launching the video ad campaign as the advertiser or marketer.